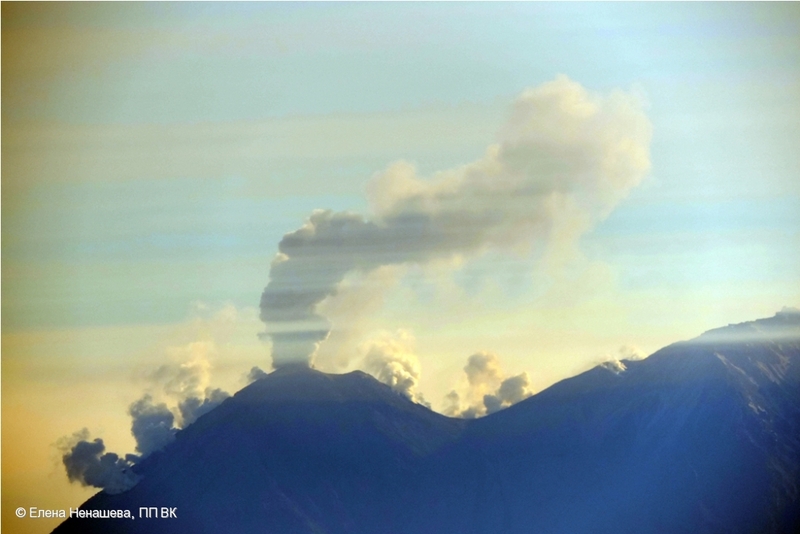 Fumarole activity of Kizimen volcano on July 10, 2014. 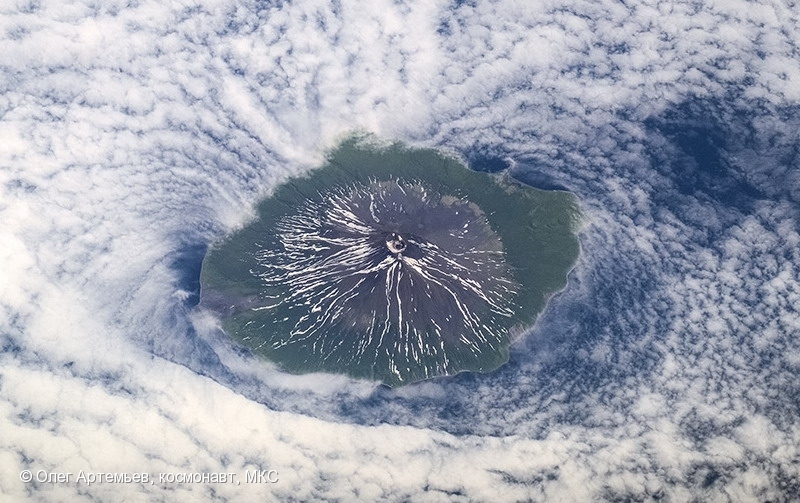 Photo by O.Artemiev (ISS - Expedition 39/40) on the project "Monitoring of Kurile-Kamchatkan volcanoes of island arc" (head Dr. A. Khrenov). 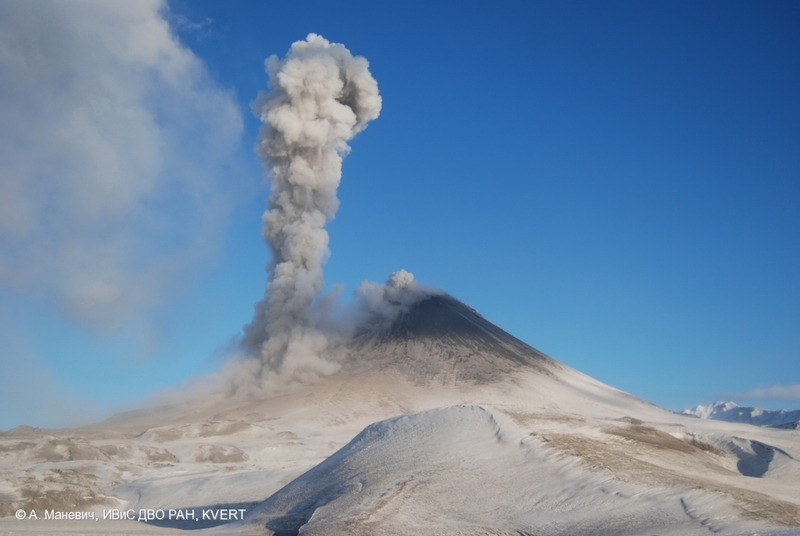 Joint research of volcanoes is performing for the first time on the Programm "Hurricane" under the aegis of the Federal Space Agency - Roskosmos (RSC "Energia" and Yu. Gagarin CPC) and in collaboration with the Russian Academy of Sciences (IGEM, IVS FEB RAS and KB GS RAS). 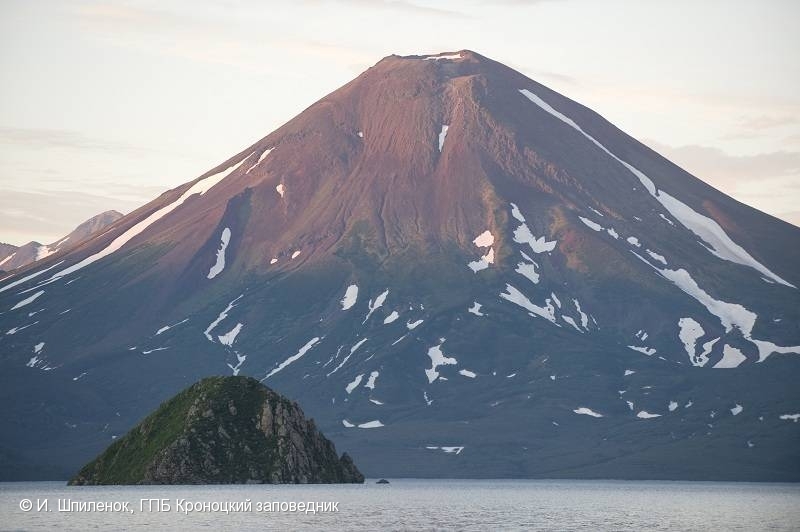 Stratovolcano Peak Krenitsyn into Tao-Rusyr caldera, Onekotan Island, Kuriles. 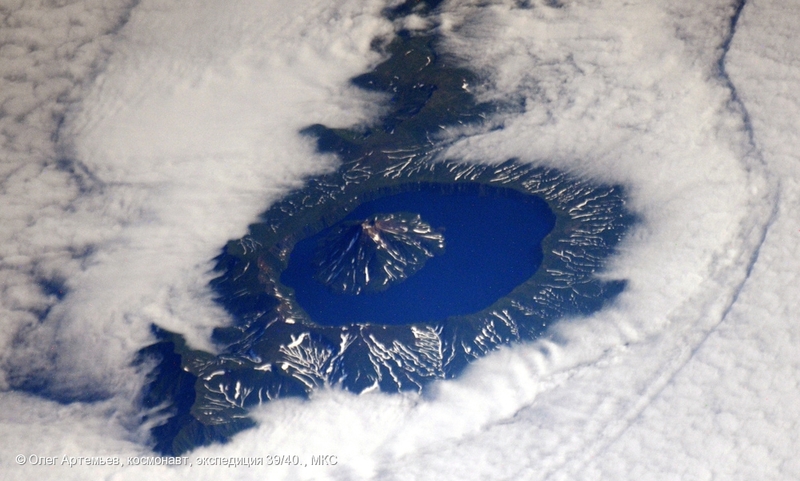 Photo by O. Artemiev (ISS - Expedition 39/40) on the project "Monitoring of Kurile-Kamchatkan volcanoes of island arc" (head Dr. A. Khrenov). 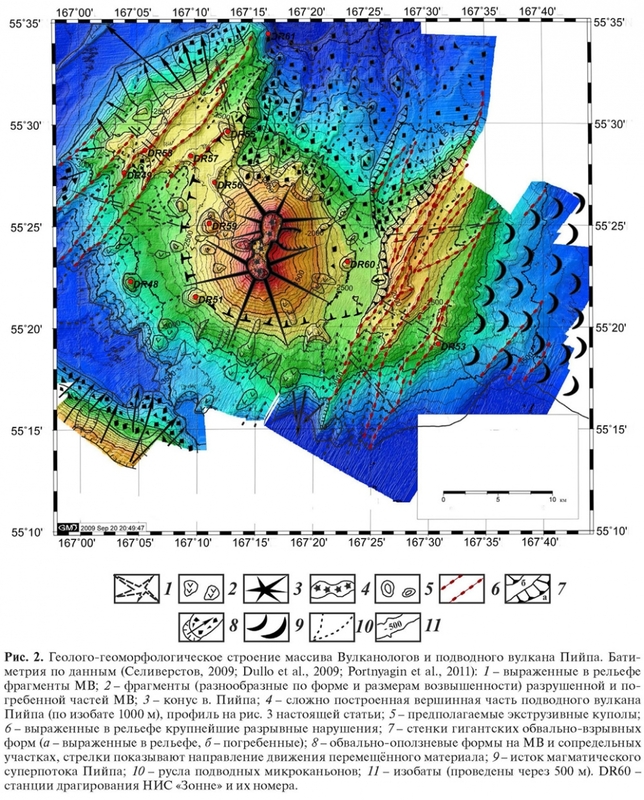 Joint research of volcanoes is performing for the first time under the aegis of the Federal Space Agency - Roskosmos (RSC "Energia" and Yu. Gagarin CPC) and in collaboration with the Russian Academy of Sciences (IGEM, IVS FEB RAS and KB GS RAS). 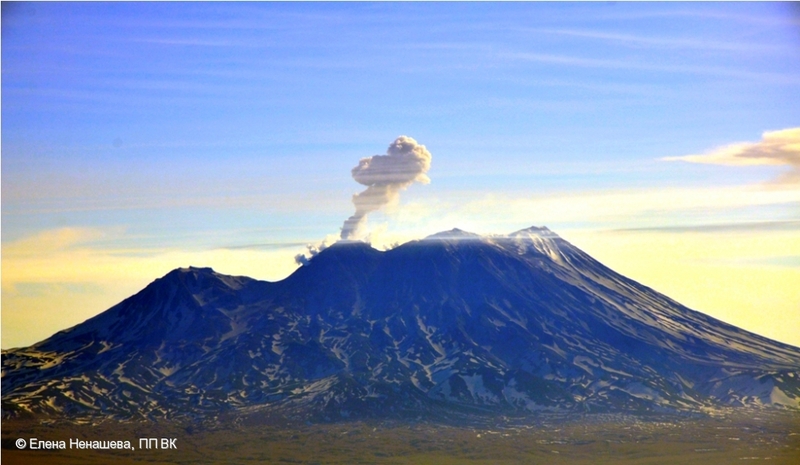 Fumarole activity of Kizimen volcano on July 06, 2014. 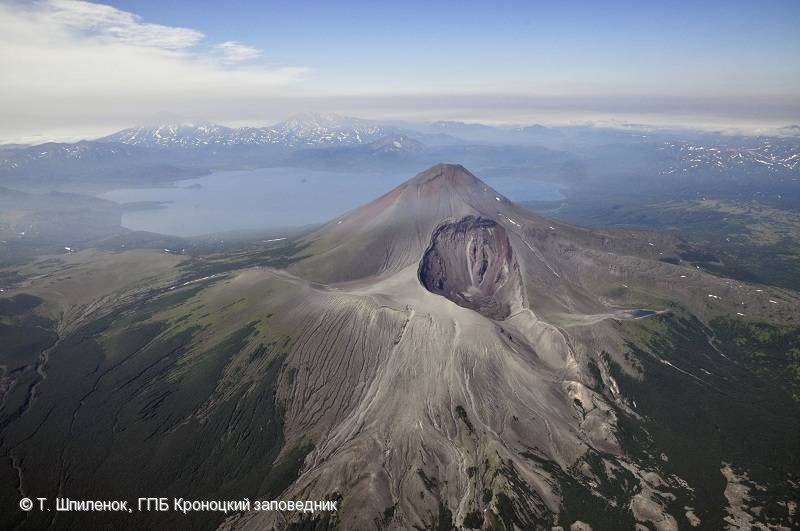 Il'insky and Zheltovsky volcanoes on July 2014. 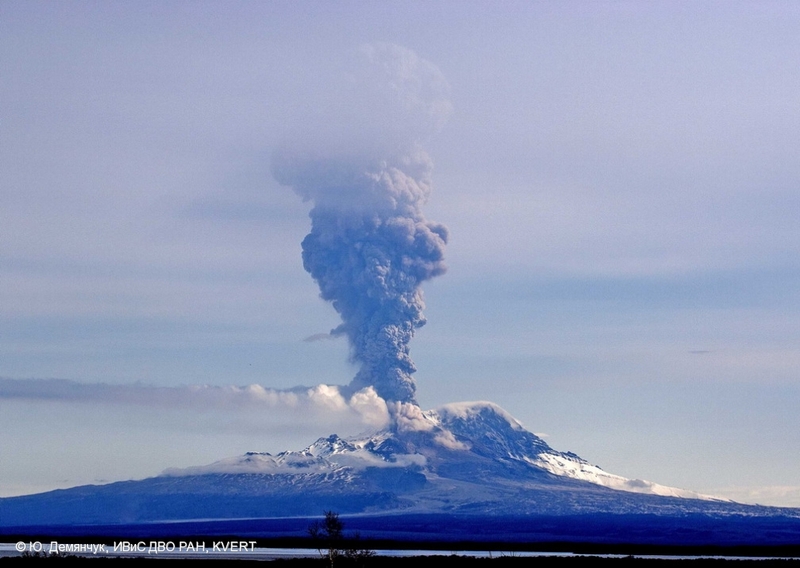 Il'insky volcano on July 2014. 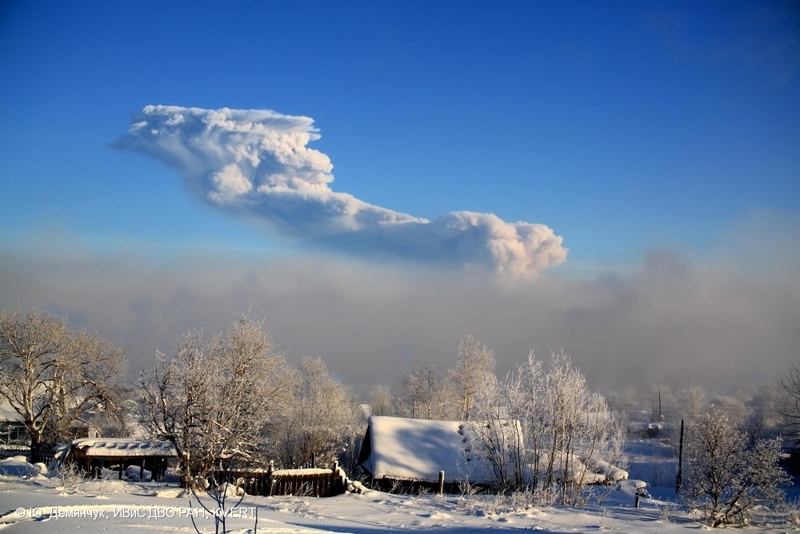 An ash plume raise up to 3.5-3.6 km a.s.l. on June 12, 2014. 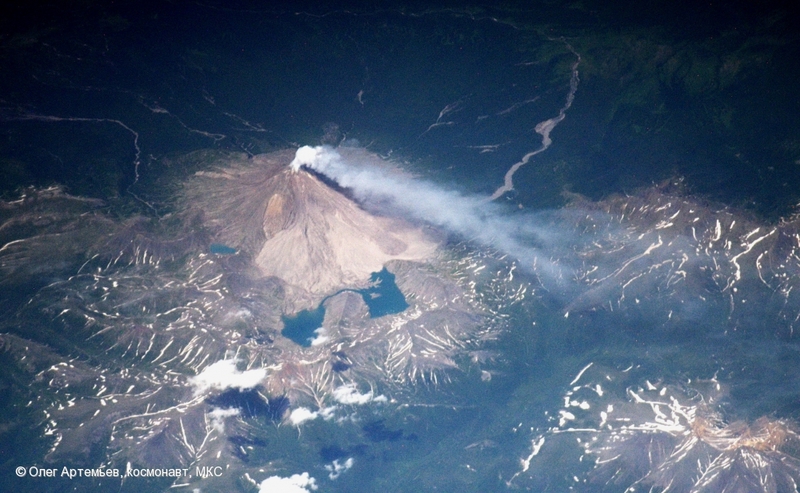 Ash plume extende to the south-east of Zhupanovsky volcano on June 12, 2014. 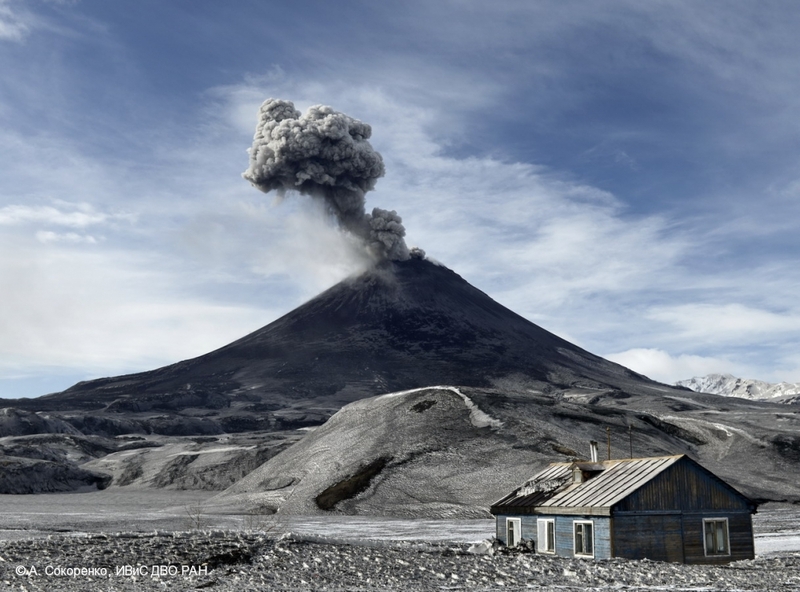 Ash explosion from the active crater of Zhupanovsky volcano and a gas-steam activity of fissures on its slopes on June 12, 2014. Alaid volcano on Atlasov Island. 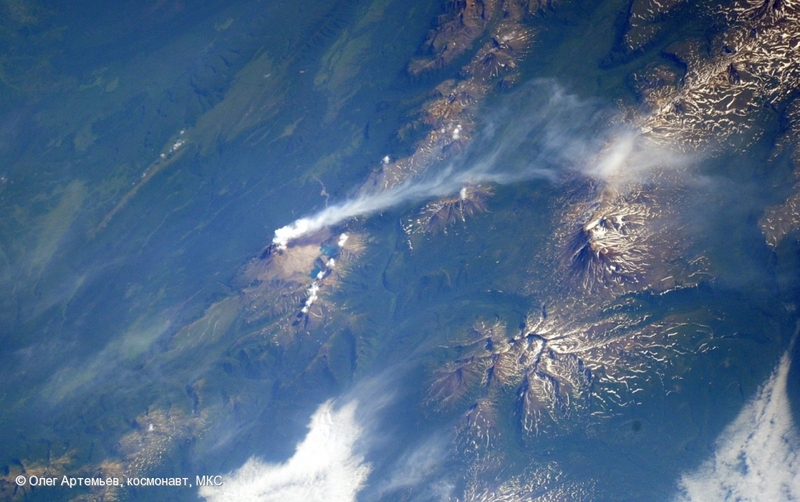 Photo by O. Artemiev (ISS - Expedition 39/40) on the project "Monitoring of Kurile-Kamchatkan volcanoes of island arc" (head Dr. A. Khrenov). 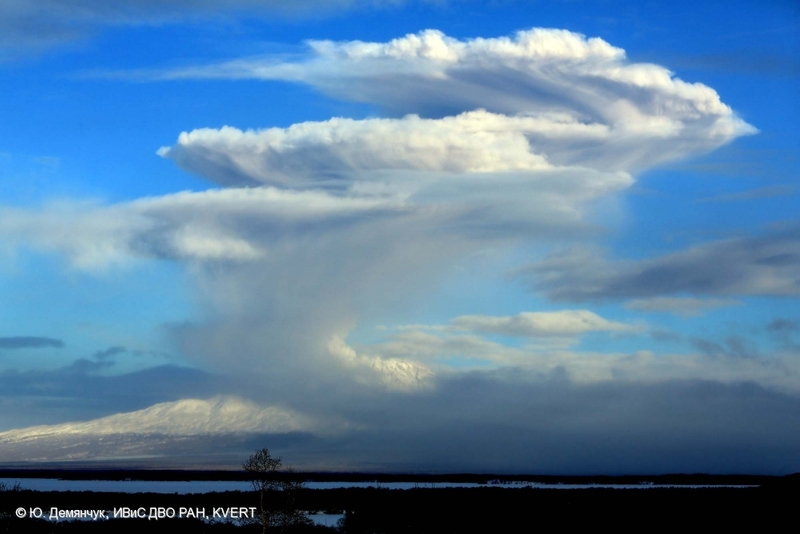 Joint research of volcanoes is performing for the first time on the Programm "Hurricane" under the aegis of the Federal Space Agency - Roskosmos (RSC "Energia" and Yu. Gagarin CPC) and in collaboration with the Russian Academy of Sciences (IGEM, IVS FEB RAS and KB GS RAS). 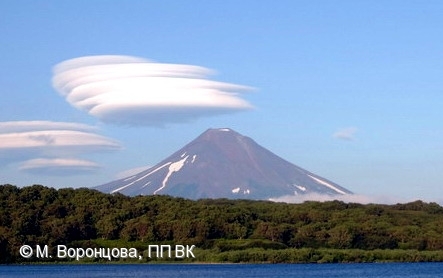 Explosive eruptions of Vulcanian type of Karymsky volcano on May 31, 2014. 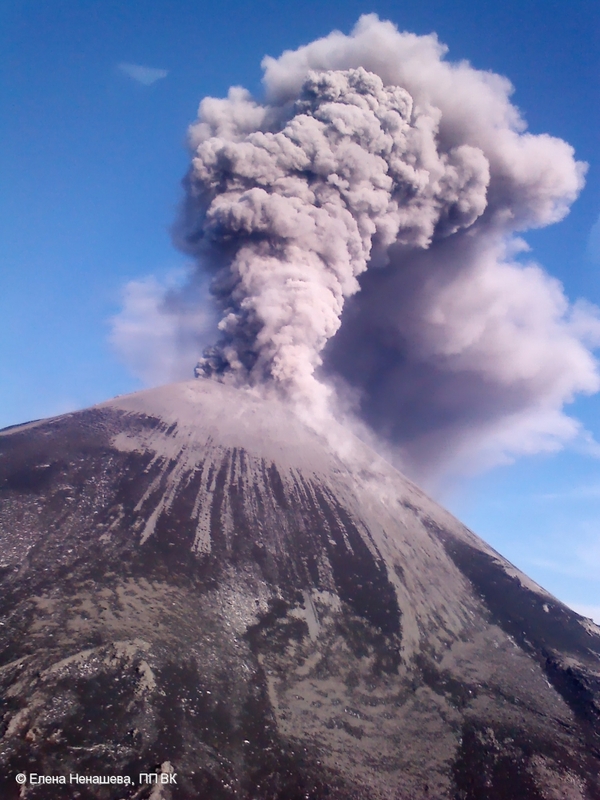 Ash plume raise up to 9-10 km a.s.l at 2214 UTC on May 12, 2014. 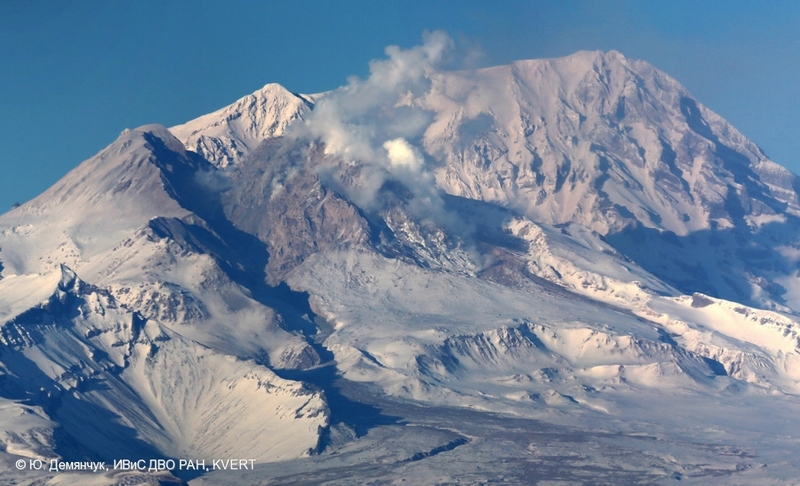 State of the Klyuchevskoy volcano on April 23, 2014. 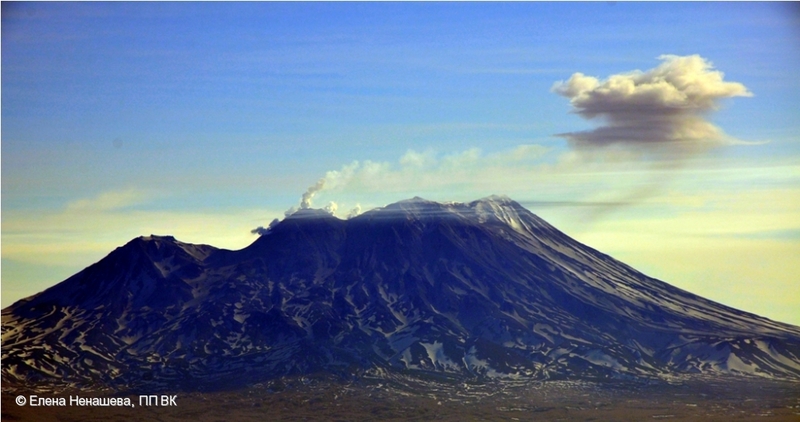 Fumarole activity of Bezymianny volcano on April 23, 2014. 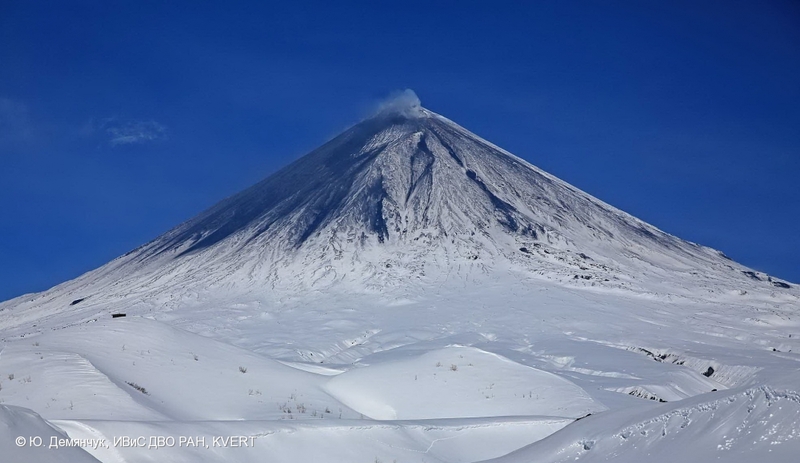 Vulcanian activity of Karymsky volcano on April 23, 2014. Moderate Vulkanian activity of Karymsky on April 02, 2014. 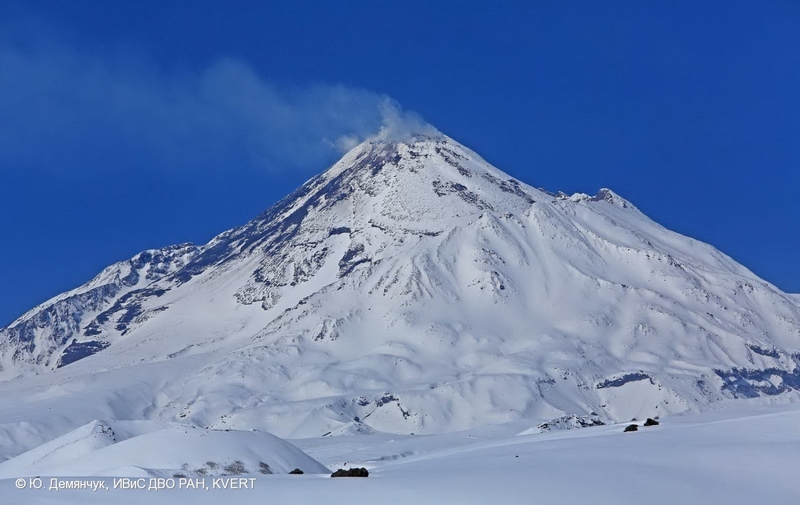 State of the lava dome of Sheveluch volcano on March 20, 2014. 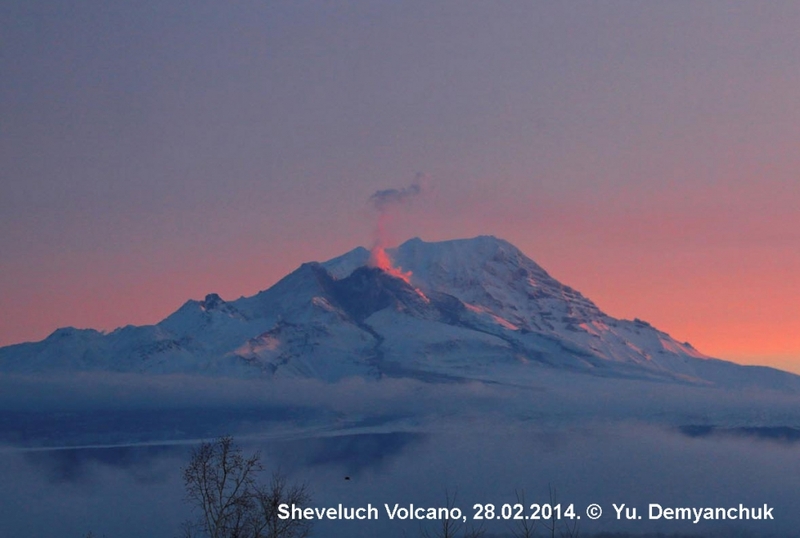 Fumarole activity of Sheveluch volcano at dawn on February 28, 2014. Ash explosion sent ash up to 7 km a.s.l. on January 20, 2014. 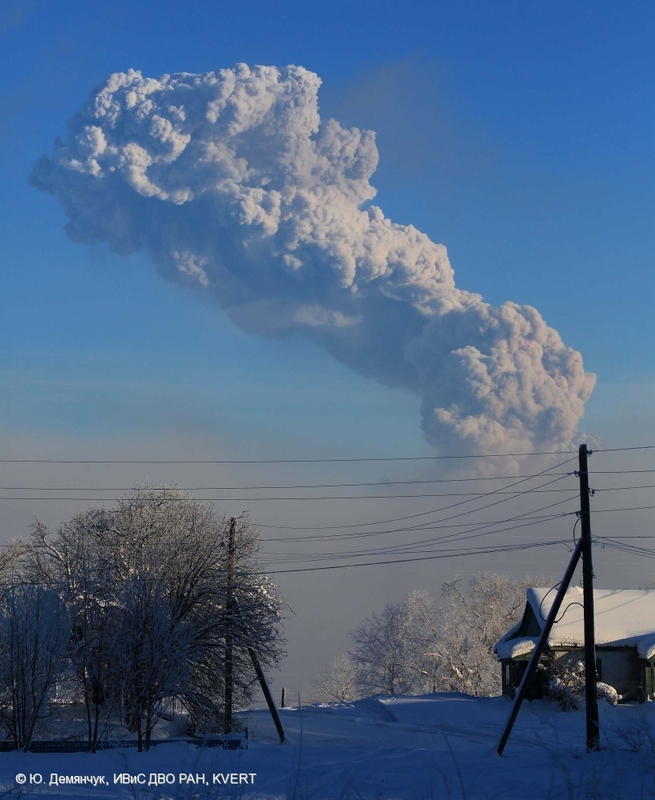 Ash explosion sent ash up to 7-8 km a.s.l. on January 12, 2014. 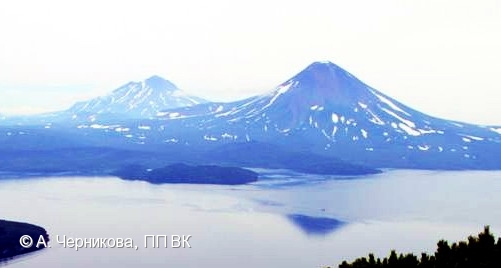 Caldera of Ushishir volcano, Yankicha Island, Central Kuriles.